Databox may be used as a stand alone module for network applications or as a complementary Data unit to Powerbox as it shares the same alloy extrusion. 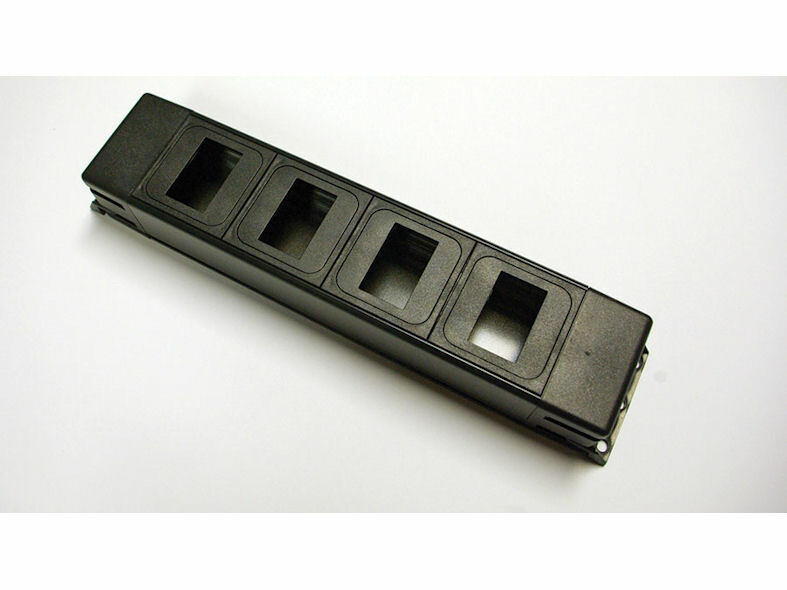 A four aperture fascia allows high densities of RJ45 outlets using the industry standard 6C opening. 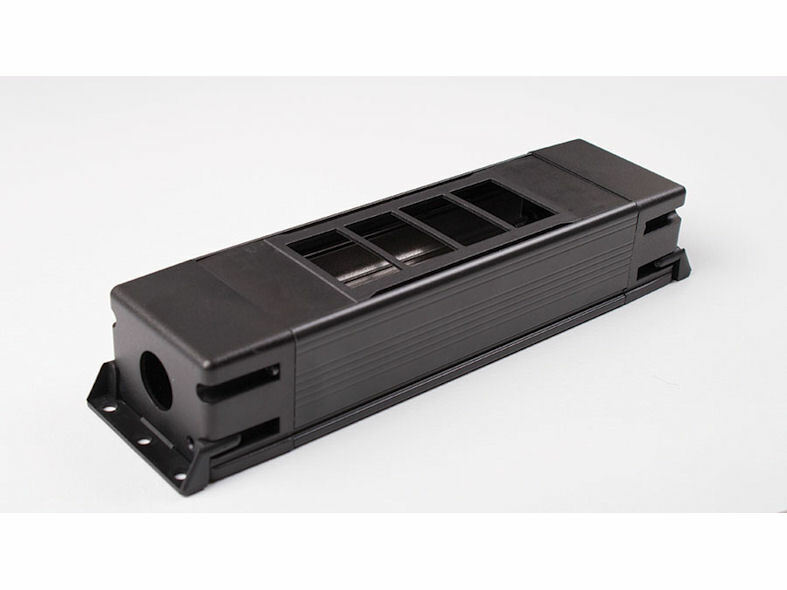 Incorporating several of these in an extended extrusion allows a large number of data connectors to be provided in a compact unit. 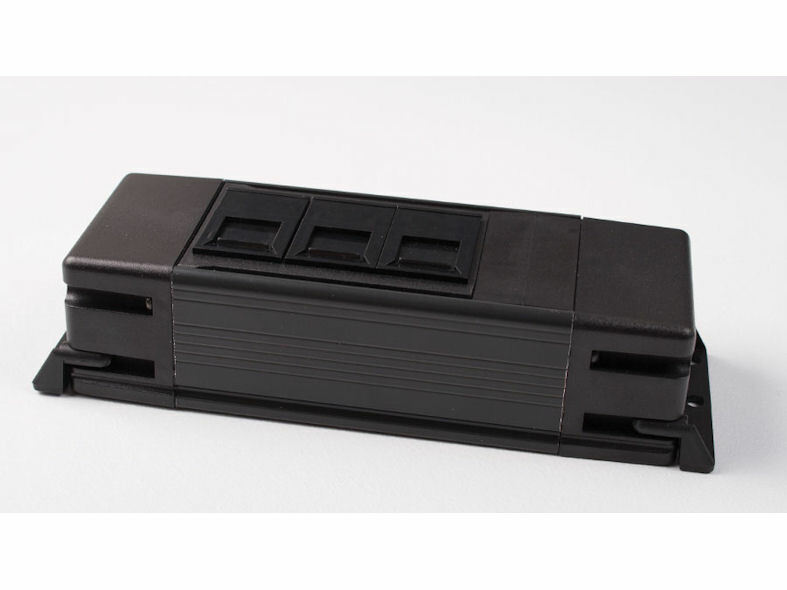 Databox may be supplied fully assembled complete with cables fitted in the units and terminated at the free end with RJ45 jack plugs to the appropriate specification. When specifications demand, specific brands of cable and connectors can be provided. 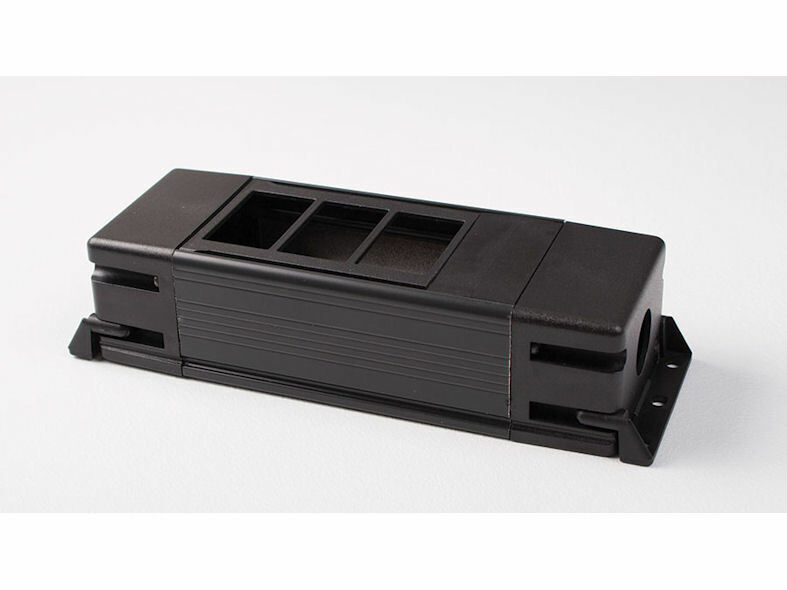 Databox may also be supplied as an empty shell with fascias to allow on site installation of the data cables and connectors. 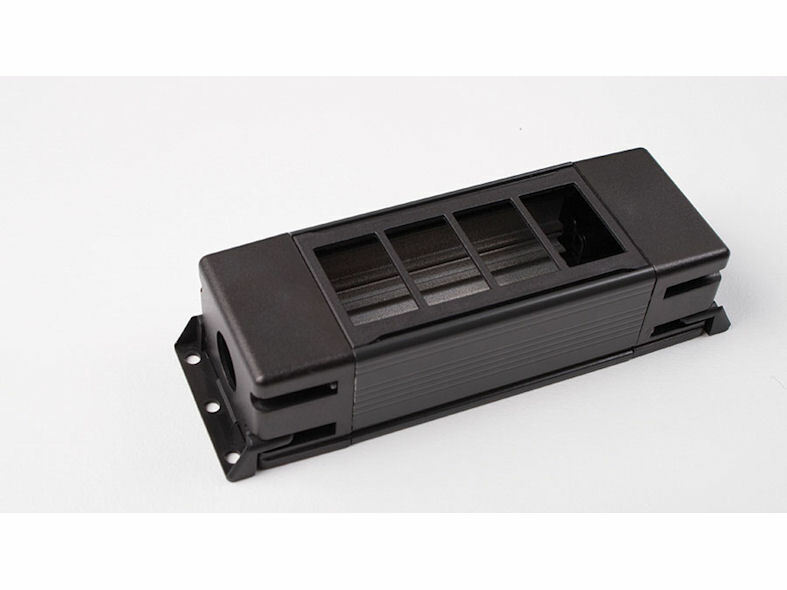 Databox is available for 19 inch rack mounting; built to the correct length with brackets. Custom Databox units can be designed and built to specification where larger concentrations than allowed by the extrusion based units are required. Standard colours - Black extrusion - Black fascias and end caps.